True to the evolution of Santana music during the beginning of this millennium, "I'm Feeling You" -- a collaboration with Michelle Branch and her partner in The Wrecking Crew, Jessica Harp -- takes Carlos away from his classic Latin sound, and into mainstream pop. This song appears as the lead single of All That I Am, the follow up to Shaman, and Supernatural before it. However, the collaboration process which worked so unbelievably well for Supernatural (9 Grammies, 25 million albums sold and counting) has been so watered down and processed by this third album in the series that it's hardly recognizable as Santana music. Written by Branch, along with pro songsmiths Kara DioGuardi and John Shanks, I'm Feeling You is quite similar to Shaman's "Game of Love," the previous Michelle Branch/Carlos Santana song. It's in a major key (D) from which it never strays, contains a pleasant enough, albeit forgettable melody, and includes lyrics guaranteed to offend no one. As is so often the case with his later material, Carlos plays smoothly and fits in well in between the cracks of the vocals. His guitar licks never stand out enough to be called hooks, though, and certainly don't define the song the way they did in "Smooth" and "Maria Maria." I'm Feeling You is really just an alternate version of it's predecessor, "Game of Love," without that song's catchy refrain. The production is smooth and modern, and Branch's and Harp's voices blend in typically harmonious fashion. As a result, this song reached number 55 on the Billboard Ht 100 chart, and number 5 on Billboard's Adult Contemporary chart. 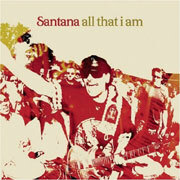 While it will never be remembered as a classic Santana song, it's certainly a well-recorded pop ditty.